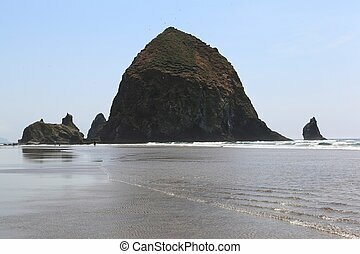 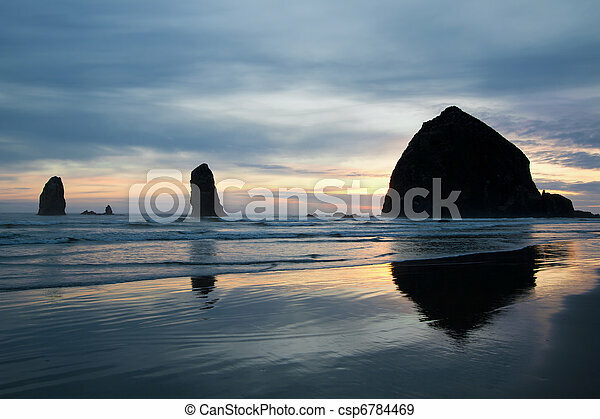 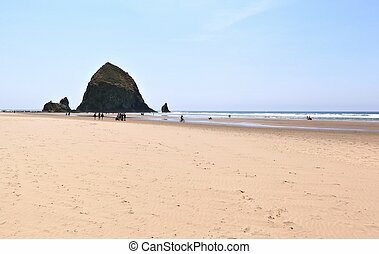 Haystack rock on cannon beach oregon. 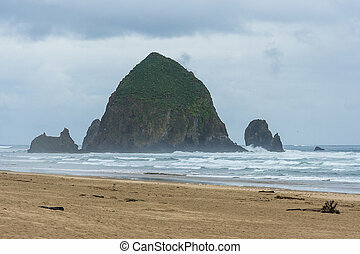 Haystack rock and the needles on cannon beach at oregon coast. 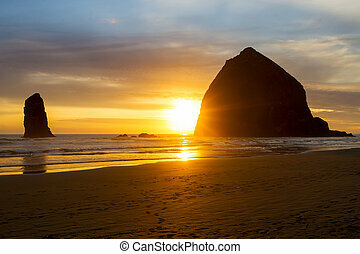 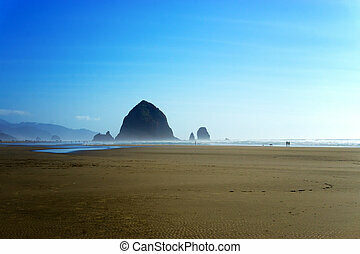 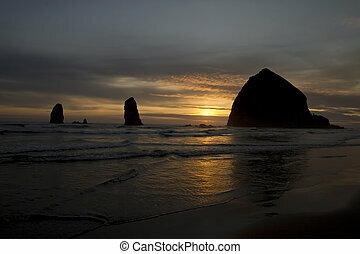 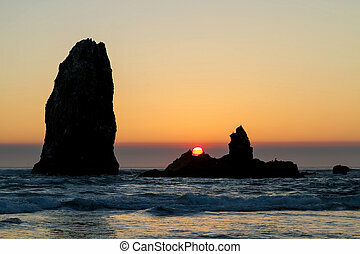 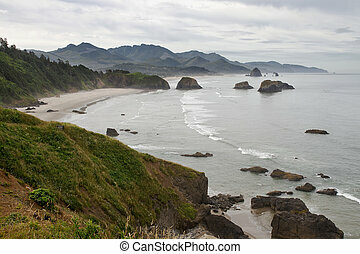 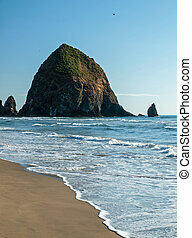 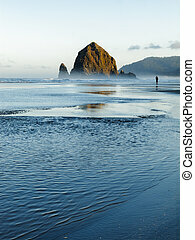 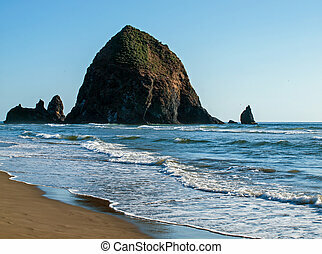 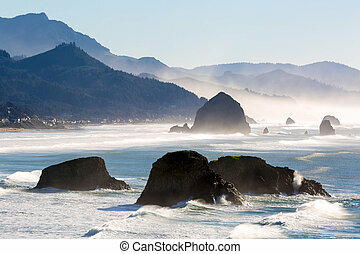 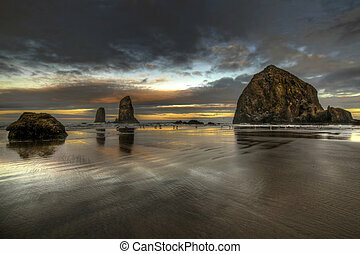 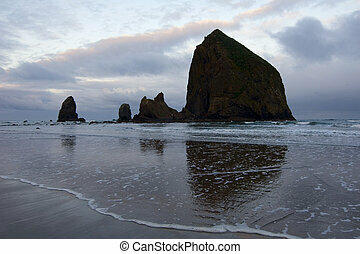 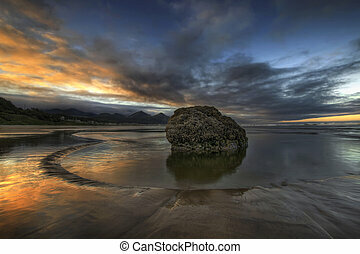 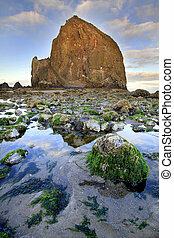 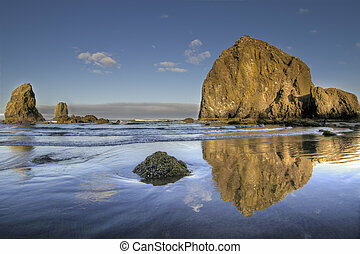 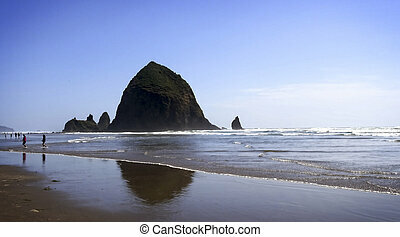 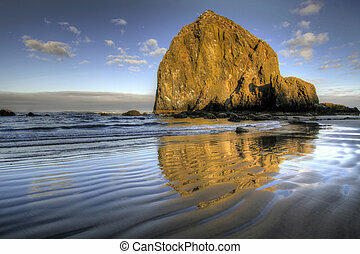 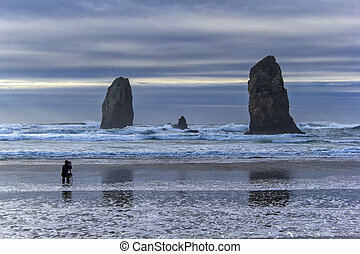 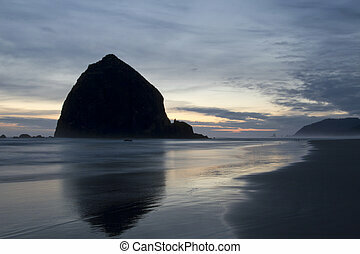 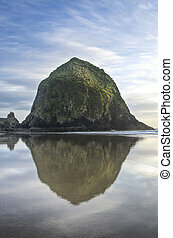 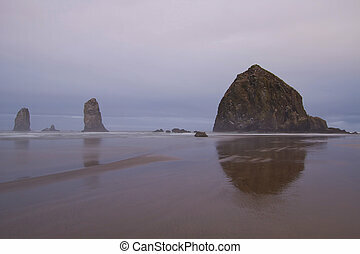 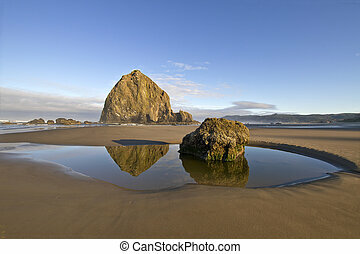 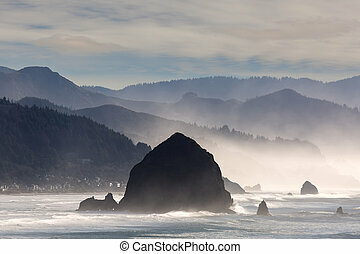 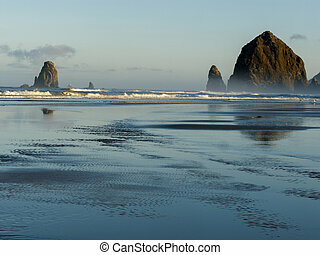 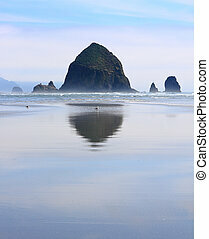 Haystack Rock, on Cannon Beach, Oregon is one of the largest sea stacks on the west coast of the United States. 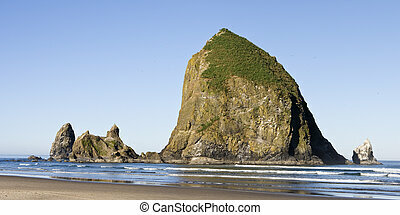 At over 200 feet tall, this monolith dwarfs the beach and is a landmark for tourists.